This was one of the hottest items at the 2010 San Diego Comic Con! 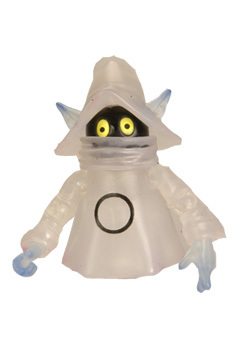 This set features Orko (with color change) and Prince Adam! It is brand new and is still sealed, mint on card. It will come shipped in its original white mailer box. 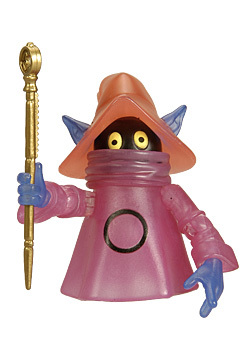 Thought by some to be little more than comic relief, powerful Orko® hides a secret few know. 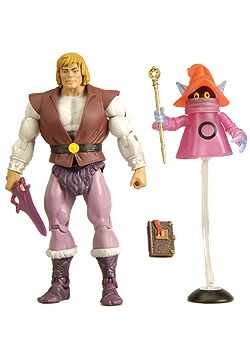 Arriving with his magic wand, magic book, and stand, Orko® also includes a fully-articulated Prince Adam® figure with both angry and smirk heads, a light purple Power Sword®, and a Half Power Sword® in light purple. 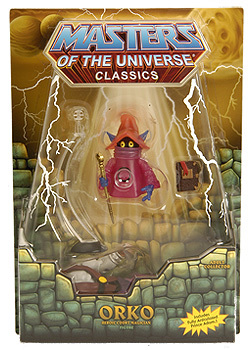 The bio on the back of the pack is for Orko® because Prince Adam® is the accessory, Orko® is the figure!